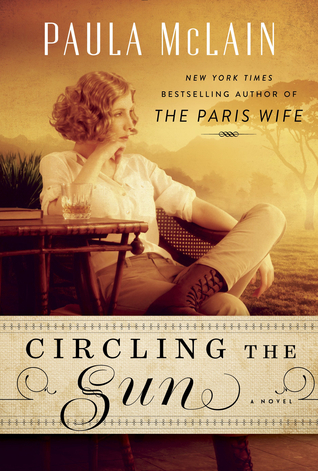 CIRCLING THE SUN, by Paula McLain, is a delicious novel; one I will be thinking about for a very long time. I am predicting that it will be a blockbuster this year and for years to come! I hated for it to end. It’s the kind of book I rate OMG! 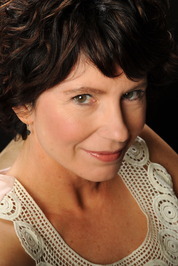 Paula McLain is the acclaimed author of the wildly popular THE PARIS WIFE. And we all know how successful that fabulous novel has been. CIRCLING THE SUN, is a wonderfully alluring force to be reckoned with. Quickly, we become acquainted with little Beryl and her family who are just relocating from England to Kenya. Big move for this family. Dad is keen to be a farmer. Mom is ready to run kicking and screaming when she sees the fifteen hundred raw acres and the three weathered huts that are all the land has to offer. Their nearest white neighbors, Lady and Lord Delamere live seven miles through the bush. And even this couple live in a typical mud-and-thatch hut. Mom was peppered with madness at the thought of having to go miles for water to bathe in. And that was not the worst of it. It took two years for Beryl’s mother to finally pack up and head back to England. And when she did, she took Beryl’s older brother Dickie along with her, citing his frailty. How could a mother leave a child behind? She left as sure as the sky is blue. With not mention of ever returning. Beryl was not yet five. Left to be raised by her father, Beryl became a veritable wild child. She was taken under the wing of a family of Kipsigis who would never, ever abandon a child. As Beryl and her best friend Kibii discovered the world around them, the face of Beryl’s mother began to slowly fade away. McLain has captured the very essence of Africa. When I saw that she was writing about Africa I was ecstatic. Beyond that. I stepped into this book with an open mind and a bit of trepidation, not knowing a thing about it. It quickly sucked me in like a vacuum cleaner, and I just kept wanting more and more and more. And I got it. Beryl’s father became a renowned race horse trainer. And Beryl used this opportunity to learn all she could even as a child. She loved both the outdoors and the animals. Business suddenly soured for her father when Beryl turned sixteen. When her father explained that he had to sell the farm and take a training post in Cape Town. Beryl was pretty much shanghaied into that first marriage: it really was the only way she could figure out how to stay on the land she loved. The man she married, Jock, was a new rancher, destined for greatness, they said. However, there was certainly nothing of greatness in their marriage. Except, misery. Beryl quickly saw that her marriage was a mistake. A grave one. She set off on her own causing her first big scandal. Thank God for Lord Delamere who took her in. Horses and racing were in Beryl’s blood by now. And she decided to become the first woman race horse trainer. Then she got caught up with a fast crowd of gin and champagne drinking wealthy landowners, and deeply involved in a complex love triangle with Karen Blixen (the writer) and Denys Finch Hatton( the famous hunter). And now the wondrous shades of OUT OF AFRICA begin. Here’s the kicker. For those of you who do not know this: Beryl Markham was a real woman who broke historical boundaries many years ago. And she wrote a memoir in 1942. She met Hemingway and was said to have rebuked him while on safari. She even went on to become the first person, man or woman, to make a solo flight across the Atlantic ending in America. I have been privileged to be a first reader of this magnificent story, told with artful prose and presenting us with sparkling characters. You need to stop whatever you’re doing, and run to buy this book.! Try to take your time and savor it, or just read it quickly, then go back and reread it. I know you will love it. It is bound for glory. After you’ve caught your breath from reading CIRCLING THE SUN, please pick up WEST WITH THE NIGHT. It’s the memoir written by Beryl Markham. It will blow you away with its sumptuous prose. And it’s the real deal. I received my gorgeous review copy with lovely photos from the generous people at Ballantine Books, a division of Penguin Random House. I rate this OMG!! The book is absolutely wonderful! You probably have read it by now. The descriptions of Kenya country are exquisite!